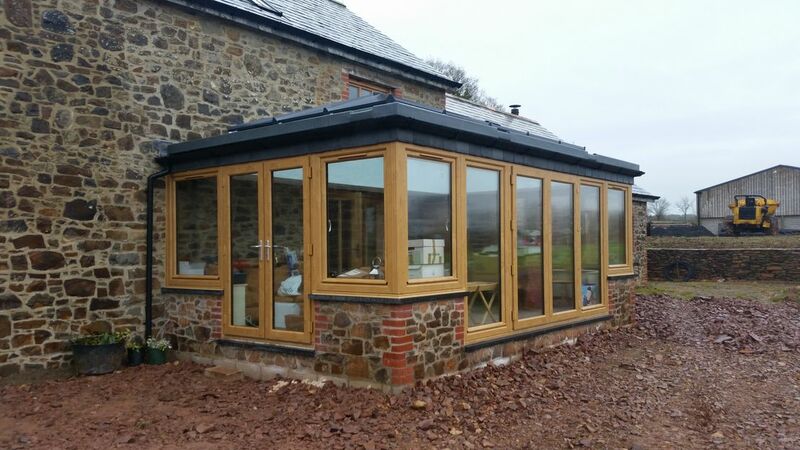 Totally bespoke and created on site for a perfect fit, our modern take on a traditional Orangery can be the ultimate statement and space for you to add to your property. As you will see in the pictures below, using traditional materials and craftmanship the Liniar Irish oak uPVC frames were utilised to create the side frames which blend seamlessly with the real oak windows of the main house. From the stone base work and brick corner keys to the slate cill, all aspects were highly considered during construction to achieve an absolute combination with the features of the main property. 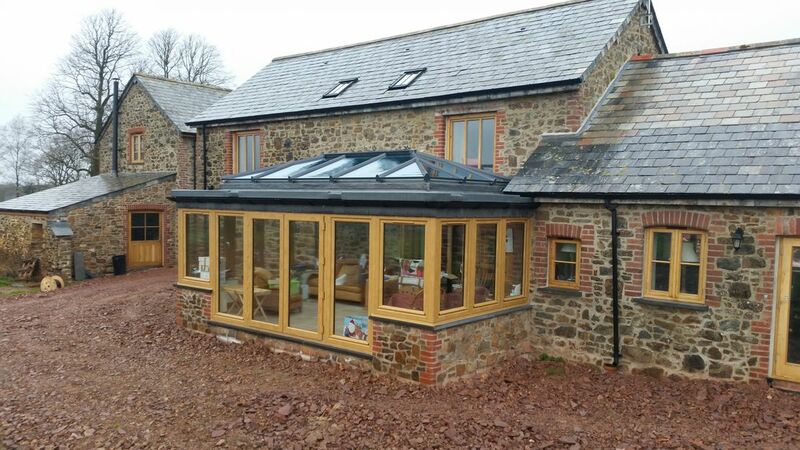 The uPVC side frames create the main structure with slate tiles hung on the roofline and uPVC cast iron effect gutter completing the natural look. The glass lantern in the centre benefits from Celsius blue glass and the super-strong 'laminated beam' structure carries the roof weight to the hidden jacking pole bearings between the frames. The grey GRP roof covering ensures a maintenance-free roof and allows easy access for escape from windows, plus further entry should any maintenance be required to the main house. These amazing spaces offer the perfect compromise between light glass conservatories and solid roof sunrooms - they are simply beautiful. If you agree and want to know more about these installations please call 01837 54543, or contact us via our website on the CONTACT US page.